October 29, 2015 – Air Force Space Command’s Space and Missile Systems Center and its mission partners are scheduled to launch the 11th Boeing-built Global Positioning System’s GPS IIF satellite aboard a United Launch Alliance Atlas V 401 launch vehicle October 30 from Space Launch Complex 41 at Cape Canaveral Air Force Station, Florida. The launch window opens at 10:17 a.m. MDT and will remain open for 19 minutes. Ten GPS IIF satellites are currently on-orbit and meeting all mission requirements. 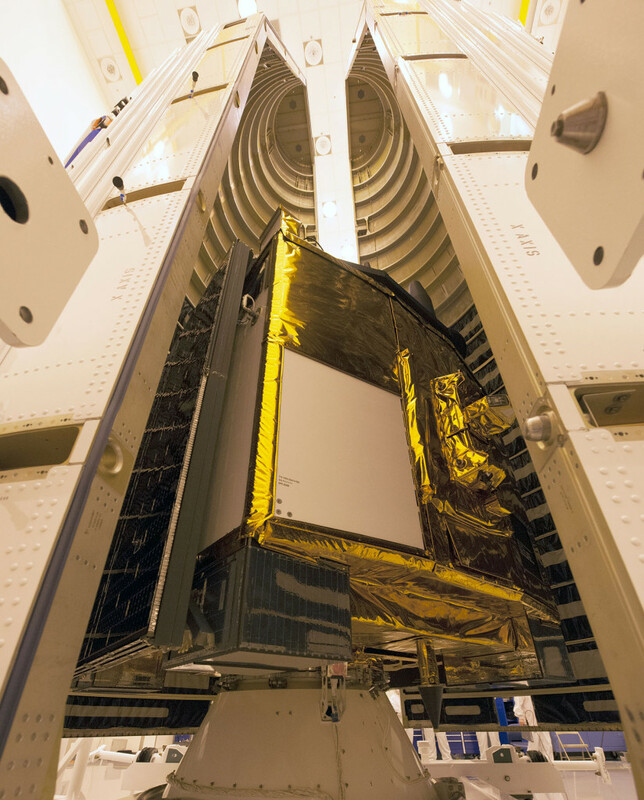 Of the remaining satellites, GPS IIF-11 is awaiting launch and GPS IIF-12, the remaining IIF-series satellite, is in storage awaiting final processing and preparation for launch on February 3, 2016. GPS IIF satellites provide improved signals that will enhance the precise global positioning, navigation and timing services supporting both the warfighter and the growing civilian needs of our global economy. GPS IIF provides improved navigational accuracy through advanced atomic clocks, a longer design life than previous GPS satellites, and a third operational civil signal — L5 — that benefits commercial aviation and safety-of-life applications. “The GPS IIF satellites play a key role in our modernization effort to provide new space-based capabilities for users around the globe and for decades to come,” said Lt. Gen. Samuel Greaves, Space and Missile Systems Center commander and Air Force Program Executive Officer for Space. “We have successfully placed into operation 10 in a series of 12 procured Boeing-built space vehicles, and thanks to the exceptional team of government, industry and launch personnel we are poised to launch the 11th GPS IIF satellite aboard an Atlas V 401 launch vehicle later this week,” he said. Operated by AFSPC’s 50th Space Wing at Schriever Air Force Base, located east of Colorado Springs, Colorado, the GPS constellation provides precise positioning, navigation and timing services worldwide as a free service provided by the U.S. Air Force, seven days a week, 24-hours a day. SMC, located at Los Angeles Air Force Base in El Segundo, California, is the U.S. Air Force’s center of acquisition excellence for acquiring and developing military space systems. Its portfolio includes the Global Positioning System, military satellite communications, defense meteorological satellites, space launch and range systems, satellite control networks, space based infrared systems and space situational awareness capabilities. This will be the third launch for United Launch Alliance in less than a month.